Considering the hardware, software, and security choices available to IoT developers. The technology sector is on course to produce a trillion connected IoT devices in the next two decades. As an innovator, you want to take advantage of this, but how and where do you begin navigating a complex world of hardware and software choices? The breadth of technology makes it easy for designers to build any kind of IoT solution at any scale across a continuum of applications. Within the context of hardware, software and security, here are seven things you need to know when launching your IoT solution project. Your choice of hardware defines the compute capability of your system. Those choices can range from energy-harvesting microcontrollers sending bytes of information periodically to more compute-capable devices able to perform operations such as machine learning at the edge. One of the most popular starting points on the continuum of IoT solutions, as it offers a strong yet simple approach to building an IoT product. Originally associated with educational tools or maker starter kits, SBCs have matured and are now commonly manufactured as ready-to-use embedded platforms or offered with a wide range of functionality. SBCs combine high performance with low power consumption, and since they’re typically mass produced, companies can be confident about availability and competitive pricing. One effective and easy way to build an IoT solution is to add smart modules to existing devices. The Arm ecosystem offers many options for IoT system development, including small module boards that add functionality to existing products. Off-the-shelf products provide companies with the benefits and knowledge their silicon vendor has established across the industry. There are more than 500 Arm partners licensing Arm technologies and offering a wide range of IoT solutions based on different performance (from sensor to server), memory, price points, and more. Since IoT requirements are changing, time (to market) is of the essence. Because of this pressure, it’s often unwise to tackle a design project from the ground up. Designing custom systems is a complex process, with lots of different parts to integrate. If you choose to go this route, however, Arm has resources to help you. Arm DesignStart allows companies to engage with Arm processors, currently the Cortex-M0 and Cortex-M3 cores, without an upfront license fee. The DesignStart program also includes a fully verified subsystem, making it easier to integrate the specific peripherals needed for an SoC design. Arm offers additional ways to license and build subsystems that deliver faster time-to-market for custom silicon designs. The promise of IoT is about identifying and harvesting actionable data to improve your business. Implementing a system to unleash the data can be an overwhelming prospect—if you let it. Mbed IoT Device Platform: An ecosystem of hardware (including boards, modules and components), developers and services, designed to give IoT developers choice in which microcontrollers and cloud providers to use. Mbed Cloud: The messaging and management software needed to connect, manage and secure IoT devices of all kinds through the device lifecycle. Mbed OS: This standards-based IoT RTOS platform facilitates the development of IoT solutions that can communicate over different protocols. Mbed OS enables developers to create applications easily and without having to package capabilities manually from multiple sources. 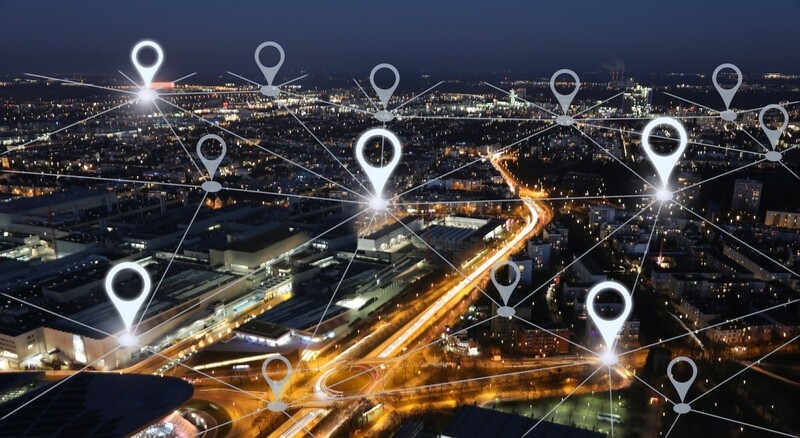 IoT solutions have already been the subject of so-called botnet attacks where thousands—potentially millions—of devices are recruited remotely to launch cyberattacks. This is possible because security in these often-constrained devices can be weak, often bolted on at the end of a design, instead of being built-in from the ground up. Arm is acting on IoT security in a number of ways, incorporating security as part of the Mbed IoT Platform and anchored in a base of secure-by-design hardware. Arm created the Platform Security Architecture (PSA) as the starting point for anybody creating a new connected device. PSA brings an industry-wide, common framework to establishing secure IoT devices—and corresponding services—at scale. A key part of PSA is the ‘analyze’ stage, which includes a range of threat modeling documentation, which helps designers to identify assets and the potential threats to the assets. Once designers have considered the threats a device may face, it’s important to deploy the correct counter-measures that will mitigate attacks (including physical, communication, lifecycle and software hacks). To help with this Arm offers secure solutions at the processor level with its Arm TrustZone technology built into the latest Arm Cortex-M-class devices, a strong line up of security IP (including CryptoCell and CryptoIsland technologies) plus a new range of IP to protect against silicon level attacks (including the Cortex-M35P and enhanced security IP to protect from side-channel analysis). These flexible security solutions allow SoC designers to trade off area, power, performance and robustness so that designs can be optimized for the most appropriate security level. For more information on defining IoT requirements, please visit Arm’s IoT solutions page. Paul Williamson is vice president and general manager of ARM's IoT device IP business.